News: It's beginning to look a lot like Christmas! 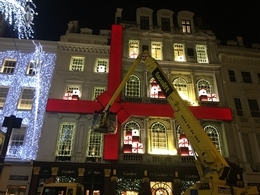 Facelift have been putting up the Christmas decorations on the Cartier building in London. Using a 34m Bronto, 22m and 18m Ascendant.